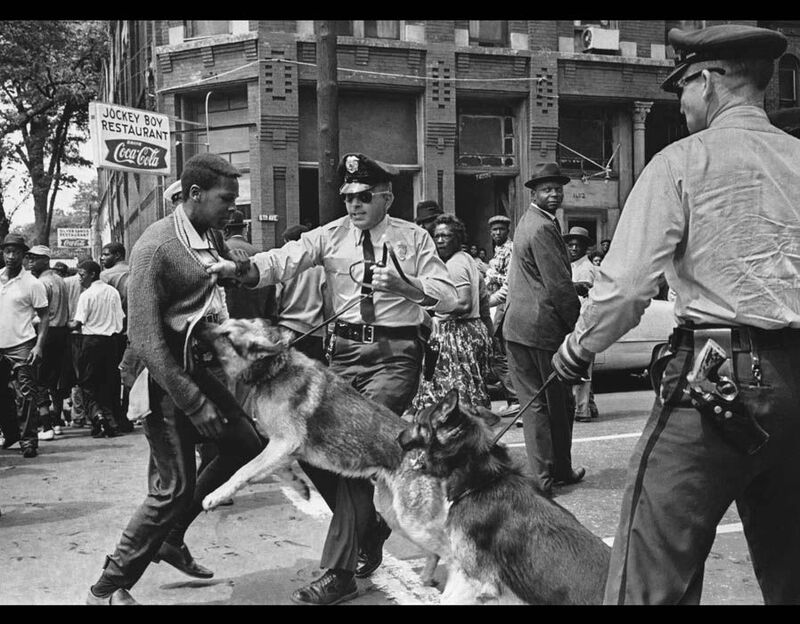 It has ben a little over 5o years since the Civil Rights Act of 1964 and 48 years since the Civil Rights Act of 1968. And I ask the question, how much has really changed since the 1960’s. And I am not just speaking of the laws, but a relationship. A relationship between two groups of people who have shared land with each other spanning a total of 300 plus years. Yet the relationship between the two is still polarizing. And what do I mean by the two groups; I’m speaking of Black and White Americans. Let’s start with the term White and Black Americans. I focus on this first and foremost because these two colors have been used as more of a social construct rather than a real ethnic focus. In this country we like to place emphasis on skin color, not to promote diversity, but it’s almost as if we use this to designate enemies. This is why the whole idea of radical Islam terrifies people because you really can’t put a face to the belief. But in the case of Black and White, where does this fragmented relationship come from. I ask this question because there has been yet again another shooting of a Black male this time in Milwaukee, Wisconsin. Now you’ll get some Black people on one side that say he disobeyed the police orders. And on the other side, you’ll get a few White men and women that will be on the side of the Black male shot. But for the most part Black will say innocent Black male was shot and Black Lives Matter, White will say do as you’re told and Blue Lives Matter. I tend to believe that this reaction is more than just a coincidence. In addition, as much as the media places emphasis on this issue, it goes deeper than the television or internet. My belief is that racial bickering (and when I say race I’m not talking human race, but race socially), comes from how this country was designed. Black and White fighting isn’t the failure of America, but it’s actually the success of what the building of this country was intended for in the beginning. To better gauge why the two ethnic groups still differ we must look at the beginning and work our way forward. In the early 1600’s, there were an original few Africans brought to what is now the United States as Indentured Servants. What does that mean? That means that they had to serve for a small period of time, serve meaning labor. After that time period was up, the indenturee was not bound by the indenture. Now what’s interesting is that there were White men and women bound to the same indentured servitude. The only problem is that the market viewpoint was that Africans were cheaper. Because slavery was coming to fruition. This meant that the Europeans who were indentured were not held forever and it was merely choice. Why invest money in them when there is a system of forced labor against ones’ will taking hold? Economically it made since, so White indentured servitude declined, while Blacks in slavery increased. All throughout slavery, the relationship was outlined and accepted. Blacks were the underlings who served and bowed to Whites. The Whites were the masters who enforced their will and beliefs. Even the poorest of White men and women in America were still above the Blacks. Very important this previous sentence. Why was that sentence so important about poor Whites being above Blacks. This is why. Once slavery ended, there was a lot of animosity. Not just at the idea of Black people being freed, but at the Union from the Confederate South. Confederates saw the Civil War as nothing more than a way to cripple the south and not about freeing Black people held against their will. Also very important because Abraham Lincoln himself owned slaves, yet they were not freed even with the signing of the Emancipation Proclamation. Now how does this all fit into poor Whites. Well after slavery, at least being White meant they had an upper hand over Blacks. But with slavery over now there is this feeling of, “really.” “You mean to tell us we are no better than them.” Factions of Whites broke off, mainly individuals still with a bitter taste over the war and the freedom of slaves. From this you have such organizations like the White Knights of the Ku Klux Klan that born and rapidly spread. We see them today as a group of poor angry White men and women who can’t get over the past. But what we must realize is that in their heyday, these men and women had power, so much power that they could politically influence the presidency. Yet, that too came to pass with the signing of the Civil Rights Acts of 1964 and 1968. Once again, another monumental documentation that left mixed feelings not only from White people, but Black as well. Keep this in mind about Black people getting angry. We will discuss this later in detail as to why Black people might be upset about the ending of Jim Crow. As for now, with the ending of Jim Crow, there was also another problem brewing. This problem was something no one saw coming. That was the issue of narcotics entering the Black community. After Jim Crow ended, prosperity looked promising, but instead there was an era of drugs and crime taking shape in Black communities nationwide. Mixed with the lack of jobs and various other opportunities post Jim Crow, young Black males turned to selling drugs as a way into generating an income. Well you ask yourself, what about all those good Black fathers? Around this time another problematic systemic policy took hold in the Black community, and that was the welfare system. A policy that doled-out government funding to working poor mothers. The catch was the father couldn’t be present. So now you have narcotics, fatherless homes, and young boys with no guidance. This was a perfect recipe for disaster. This was an in, an in for what would be described as a new era of Jim Crow relationships. Law enforcement was brought into the equation, and not just any. Cities like Los Angeles and Oakland recruited police preferably from southern cities who had experience dealing with Black people. Note how I said experience with dealing with Blacks. This was not a very good relationship and would create a new host of problems. After heroine hit from the late 1960’s to the late 1970’s, powder cocaine in the 1970’s into the 1980’s came next. From the 1980’s into the 1990’s a new drug hit called Crack Cocaine. So here you go, young Black males with absentee parents, policed by predominantly White male cops, and both having views of each other over throughout history already. Black males finding themselves growing up in the middle of gang and drug zones and police who didn’t discern between those who were criminal and those who weren’t. This all brings us to today. With the recent shootings from the police we ask ourselves, what’s the end game. There seems to not be one because every time it seems the White, Black relationship is getting better something else pops up. But remember when I said after Jim Crow, there were Black and Whites upset. Well for the Black people who were upset you look back. Blacks had their own schools, hospitals, banks, small businesses, and host of other jobs during segregation. Fast forward to today, and it seems things are worst now. So in a way there seems to be this discontent feeling. Maybe ending Jim Crow was a bad idea considering we had our own stuff then. Once we became equals we relinquished a lot and became fragmented. Whatever the case may be, with this latest shooting, it seems like that clock has been set back yet again. From my understanding, it has to do with a feeling. To change people’s mindset, you have to change sentiment. That is a lot harder to do. How do you get Black and White people on the same page? You have to eliminate the terms White and Black from the American psyche. So much so that when a Black or White person look at each other we see American, and not a hue. How do you do that in a country where we have been made to feel like opposites for so long. I wish I knew; I truly wish I knew.